Are you still ordering the PSW text and workbook separately? Let us make this easier and more economical for you. Order the PSW Essential’s package to receive digital membership for accessing podcasts, videos, digital text and workbook. 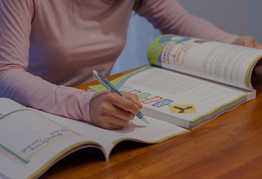 The goals of the companion workbook are to assist the learner in becoming more competent, confident, and compassionate in providing excellent care to those who are dying and their families. A considerable amount of thought and insight has gone into this courseware. It is superbly designed and touches on all the important areas and competencies for the target audience. Reflection and engagement are embedded in the program to make it an active and worthwhile learning experience. – José Pereira MBChB, DA, CCFP, MSc(MEd), Professor and Head of the Division of Palliative Care at University of Ottawa, Medical Chief of the Palliative Care programs at Bruyère Continuing Care and The Ottawa Hospital in Ottawa. 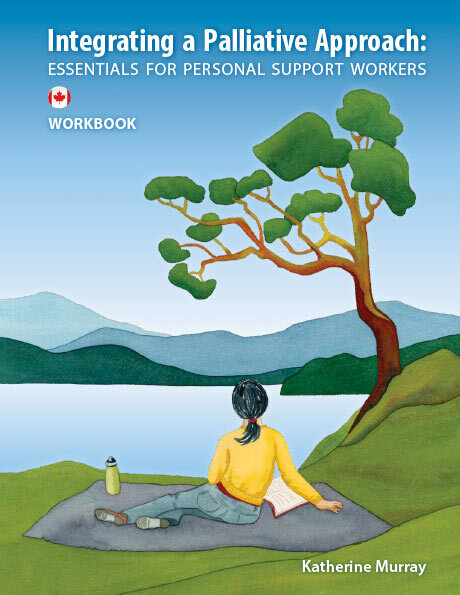 I am uplifted and empowered by the wholistic and reflective approach to learning that Kath Murray’s ‘Integrating a Palliative Approach: Essentials for Personal Support Workers’ text and workbook offers. It is wonderful to have a Canadian text for Personal Support Workers that provides tools, strategies and processes that promote best practices within the palliative approach of care. The graphics and attention to the practical details create a resource that is supportive, informative and inspiring for those who are caring for patients and families within the community. Kath’s insight into the needs of the care being offered by Personal Support Workers is to be commended. I will certainly use this resource at the college and for contract training for Personal Support Workers in the community. Thanks Kath for recognizing a need and attending to it with grace and care. I have no doubt that this educational resource will ultimately affect the quality and compassion of care at the bedside. One of the most difficult things for educators is to deliver their topic to as wide an audience as possible in an easily understandable way. The need to develop palliative and hospice knowledge, skills and attitudes in all caregivers working across many sectors is so important today as chronic illness and an ageing populations grow. In Ireland, the FETAC module on palliative care provides essential learning for non-professional carers but finding a resource to support that learning was elusive – until now. ‘Integrating a Palliative Approach’ is an essential tool for students who need to understand how to work effectively with people at end-of-life. Beautifully crafted, with easy signposting and step-by-step key learning points, this book has proven invaluable in terms of supporting our Irish students to work effectively and feel confident in practice. It has become a core text for us and is a firm favorite with staff and students. Our intention is to create products and services of exceptional value to our clients and we proudly offer a 100% satisfaction guarantee. Under normal circumstances we do not issue refunds once the order is shipped. However, if you are not satisfied with your purchase please contact us. Please click on the Returns & Purchasing Policies link (at the bottom of the page) to view our complete policy.